Cookies are fundamental to allow for faster and more efficient navigation, for example eliminating the need to repeatedly enter the same information. What types of cookies we use and for what purposes? Strictly necessary cookies - These allow you to surf on the website and use its applications, as well as accessing to safe areas on the website. These cookies can't be rejected when using our web pages. Analytical cookies - Anonymously are used for the purpose of creating and analysing statistics, to improve the functioning of the website. Functionality cookies - Store user preferences regarding the use of the site, so there is no need to reconfigure the site each time you visit. 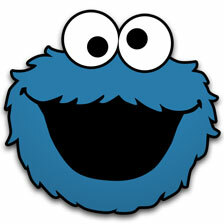 Third-party cookies - Measure the success of applications and the effectiveness of third party advertising. May also be used in order to customize a widget with the user data. Advertising cookies - Direct advertising in the interests of each user, and also limit the amount of times you see an ad, helping to measure advertising effectiveness and success of the website organization. Users can configure their devices to accept all cookies, to introduce them to a notification whenever they receive a cookie or to refuse all cookies. The last of these options means that certain personalized services can not be provided to that user and, as such, may not be possible for the user to take full advantage of all the features of our Web pages. If you do not wish to receive cookies in general or if you would like to keep certain cookies, you can change your browser settings accordingly. However, each browser is different, so you should consult the "Help" menu of your browser to learn how to change your cookie preferences. Directive of 2009 amending directive of 2002 of the European Parliament and the Council of the European Union, on universal service and users’ rights relating to electronic communications networks and services. Go back to initial page.